Besides calculating and coding the best I've learned, actual construction of the test setup has now also begun. Luckily I have a dad with experience from the trades willing to lend me a hand. 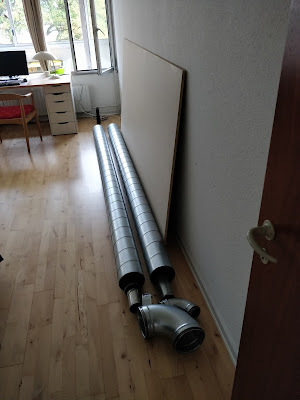 I just picked up the ductwork and plywood I'll use to construct the experimental setup. 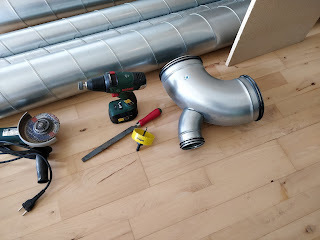 In this regard I would like to thank Lindab A/S in Viby Denmark for donating high quality duct and fittings for the project, this stuff is a pleasure to work with.